French toast is a staple in my household, so we’re always looking for new ways to put a delicious spin on the classic breakfast. 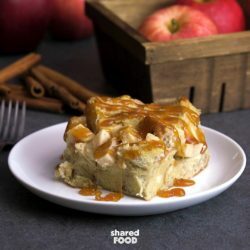 This Caramel Apple French Toast Casserole is absolutely scrumptious, and uses up all those yummy apples that are in season right now. This french toast recipe is so easy, as there’s no need to fry each piece of bread individually – just throw it all in a casserole dish and bake it in the oven! You’ll love the heavenly aroma that will fill your home in the morning, and you’ll love eating this even more! Let’s face it shrimp rings with cocktail sauce is delicious, but its been done to death! New years is chilly enough and I wanted to make some some snacks for my party-goers. 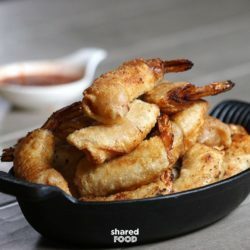 With a little marinade and some egg roll wrappers, you can transform some ordinary shrimp into a crispy, spicy and absolutely delicious experience! You’ll never through another party without these guys, that’s for sure! You’ll Love This Classic & Delicious Meal-In-A-Bag: Frito Chili Pie! Frito chili pie has a well-known history that goes back a good amount of time. The meal is known to some as the “walking taco” or “Frito boat” but no matter what you call it, if you’ve tried it, you know it’s delicious. Frito Chili Pie is a true icon of American food, and the no-fuss aspects of this recipe make it a winner when feeding a crowd. Whether you buy up some snack-size bags of Fritos, or divvy up the chips into bowls yourself, you’ll love the crunch, and the flavor from the chili is out of this world! Don’t forget all the fixings for topping this yummy dish. Who doesn’t love a jalapeno popper? Who doesn’t love an egg roll? Why has no one ever thought to combine the two until now?! 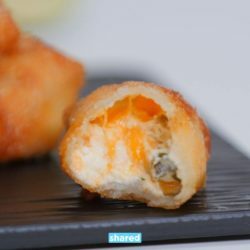 These amazing little bite sized treats combine your favorite appetizers into Mini Jalapeno Popper Egg Rolls and you will wonder why you haven’t been eating these forever. They are super quick to make and you are going to love them! 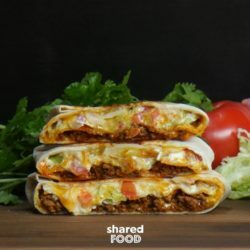 Skip the Drive-Thru and Make Your Own Taco Bell Copycat Crunchwrap Supreme at Home! I just looove Taco Bell! I knew once I tried their famous Crunchwrap Supreme that I had to give it a go myself! This is the ultimate layered feast, and you’ll love the crunch from the tostada shells hidden between fillings on the inside. 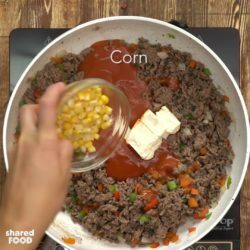 Serve this up with some taco sauce for an authentic Taco Bell experience! 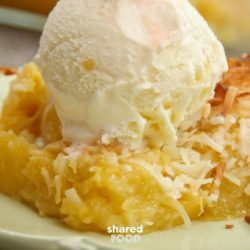 Pineapple Pina Colada Dump Cake Is the Quickest Way to a Vacation at Home! With summer coming to an end there’s no reason for the summer flavor to go. Super simple dump cake with complex pina colada flavor! This cake mix hack will change the way cakes are made for ever! Simply toss all your ingredients in a 9 by 13 baking dish, mix it up and pop it in the oven! Your tropical inspired cake will be ready in minutes! Tex-Mex Taco Hashbrown Casserole Is the Perfect Breakfast-For-Dinner Mashup Meal! Breakfast for dinner is in regular rotation at my household – we just can’t get enough! This Tex-Mex Taco Hashbrown Casserole is the perfect breakfast-for-dinner mashup meal that the whole family will love. This extra-crispy, extra-cheesy meal is packed with veggies and will win the key to your heart. Why not give it a try for dinner tonight? Look No Further for a Sandwich of Epic Proportions – This Jalapeno Popper Grilled Cheese Is So Good! 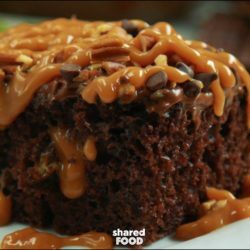 Look no further for ooey gooey goodness that you can whip up on your stove in no time! 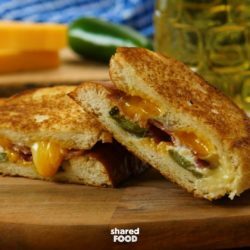 This Jalapeno Popper Grilled Cheese is a sandwich of epic proportions, and you’ll love the spicy-cheesy combo in this. Layer on three types of cheeses, jalapeno, and of course bacon for that addition of salty flavor, and you’ve got a grilled cheese you’ll want to make again and again! Eat them both yourself or share with a friend – this recipe makes two amazing sandwiches! 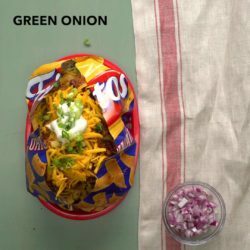 Time to reinvent the nacho and you don’t think it’s possible wait until you see this. Traditionally you bake your chips, but not anymore! First you make your yummy sauce with cheese salsa and beef, cover it all in way too much cheese and broil it! Next is where its gets ridiculous! 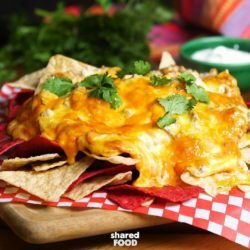 Pour your cheesy concoction right over the chips and enjoy the new improved nacho!